Are you actively managing your WordPress website and keeping it up to date? If your answer is no, then this blog post is perfect for you. If your website is built using WordPress, then it is important to ensure that it is updated regularly, to prevent any issues from occurring later down the line. Remember your website is there to showcase and promote you as a business, therefore it is important to make sure that it is looking and running at its best, and you avoid any future downtime. What are the benefits of keeping my WordPress site up to date? Looking after your WordPress website and making sure that it is kept up to date will result in a healthy and fully functioning website for years to come. Each time you update WordPress the latest security patches are automatically installed and integrated within your website to prevent your data from being stolen or viruses such as; malware from lurking behind the scenes and causing mayhem! Regularly reviewing and checking your website will also mean that you are more likely to pick up any malicious attacks quicker. Out of date WordPress files, themes, or plugins can have a negative impact on the visitor journey of your website as eventual functionality on your site can start to break, change, and not work. Ultimately not updating your website can bring your whole site down resulting in the potential loss of sales and leads. Maintaining your website and its functionality will ensure that your visitors can easily and seamlessly view and use your website as they require. Website Maintenance is your digital bug spray! There are plenty of bugs out there waiting for the opportunity to interfere and cause issues with poorly maintained WordPress sites resulting in things such as; data corruption, compatibility issues, broken links, slower loading speeds and certain elements becoming broken or becoming unresponsive. By keeping your website in tip-top condition, you are less likely to experience this from happening which will result in your website being able to function more efficiently. 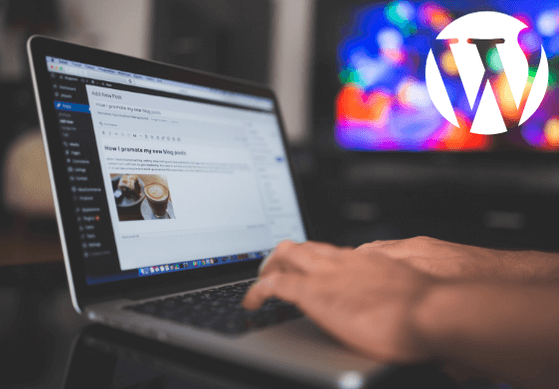 By keeping your WordPress website updated on a regular basis, you will be able to experience and benefit from a selection of new and improved features WordPress has to offer. Be aware though, not all updates are as good as others, it is worthwhile reviewing any feedback other people have said about WordPress before updating to the latest version. Have you ever looked at a website and found that they haven’t posted a blog post for over a year, the product you wanted is no longer available, or the person you wanted to speak to no longer works there? Out of date content and imagery can reflect poorly on your business and brand. Inaccuracies on your website could send potential customers straight to your competitors. And not adding new content and imagery could mean that you are missing out on potential business because you are not effectively highlighting your expertise, range of services and available products. With the digital marketing industry becoming increasingly competitive and more businesses constantly battling to increase the amount of content on their website it is important to ensure that you are maintaining your website to keep up with the competition. This includes updating content, ensuring your website works effectively and investing in online strategies to promote your website and drive traffic. Don’t want your website to break to send your sales to your competitors? We understand that as a business you can be busy focusing on other areas which is why your website might get neglected. Don’t worry, that is where our team come in, at All Things Web® we can offer your business a monthly website maintenance service for your WordPress site. This can start from a basic package to some more bespoke for your businesses needs.